Following significant changes in the business environment during the last 10 years, we believe that executive search has become a static and almost generic service. Most executive search firms are still managing your searches in the same way they have done it for the past 25 years. However, Search Specifics TRANSEARCH Africa has re-invented the search process, providing measurably better results for clients and candidates. We have developed a unique process called TRANSEARCH Orxestra Method© that minimises risk significantly for your executive hiring. The method allows us to provide our clients with better short lists, as we are able to select and evaluate candidates in an objective way that no other search firm can. We are the only search firm in the world using this proprietary method, which was developed together with our retained consulting partner, John O. Burdett, a world authority on corporate culture and corporate leadership (best-selling author of 6 books on these subjects). 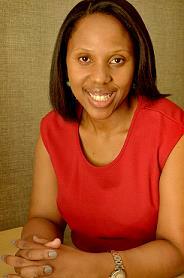 Zinhle is the Founder and Chief Executive Officer at SearchSpecifics TRANSEARCH Africa. With over 15 years’ experience in the executive search industry. Zinhle founded SearchSpecifics in 2005 and partnered with TRANSEARCH International in 2015. We have offices in Johannesburg, Cape Town and Nigeria, and growing. Zinhle is a visionary in her own right who built the business from the ground-up. Her business conversion rate is above par, and is achieved through her natural and assertive impetus of opening doors and building winning relationships. She is able to push performance improvement whilst at the same time delivering exceptional growth. Zinhle’s philosophy on talent acquisition is rooted in finding great leaders who have a burning desire to set their career agenda; and match these individuals with organisations. She receives enormous satisfaction when she knows she has created a winning partnership between both the client and leadership talent. Seeing the talent journey unfold, leaders who make a difference and take companies to the next level of performance and sustainability through the process of talent acquisition, growth and retention is what fuels her. Furthermore, developing young minds is critical to South Africa’s economic success. Thus, Zinhle also serves as a Board Member with help2read; a non-profit organisation which provides children who struggle to read with one-on-one attention from a volunteer Reading Helper or community Literacy Tutor. Through consistent literacy input, reading help and fun activities, the children that participate in our programmes not only learn to read, they fall in love with it. Zinhle has served on the board since 2011. She holds a Bachelor of Social Sciences degree and a Postgraduate Diploma in Business Management from Rhodes University; professional training in Finance for Non-Financial Managers from Gordon Institute of Business Science, and Organisation and Relationship Systems coaching from CRR Global.